What are the ingredients in Equine Oxyshot? least 15% v/v of diatomic oxygen at manufacture. What’s special about Equine Oxyshot? 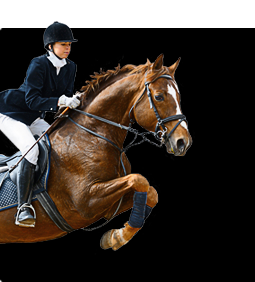 The ingredients of Equine Oxyshot are: >84% De Ionized Water, 15% Dissolved diatomic oxygen, and <1% Sodium Chloride (Atlantic Sea Salt) NaCl. Who should use Equine Oxyshot? What difference will it make for the trainer? Does it comply with Health & Drug regulations? What about Toxicity & Health Hazards? Oxyshot has been tested by the Australian Government Analytical Laboratory at its IOC accredited facilities. The product was analyzed for stimulants, narcotics, diuretics, anabolic agents, corticosteroids and the metabolite of cannabis. No banned substances were detected. Is there any scientific technical data to support Equine Oxyshot? A test by Sydney University found a 24% increase in the partial pressure of oxygen in the arterial blood 30 minutes after administering Equine Oxyshot. A test by Sydney University found a reduction in venous TCO2 after administering Equine Oxyshot (This product is NOT a “milkshake”). A research reports by Professor Sillence of Charles Sturt University has demonstrated a 4.5% increase in the blood oxygen levels on 10 horses given only a relatively small dose of the much weaker 5% strength product - not our Super Strength 15% v/v product. A scientific paper* written by Dr James Berg, Ph D, Dept of Medical Microbiology at the Stanford University School of Medicine explains in scientific terms the method of action, and much more interesting material on free radicals. *In“TheSearchforHealth(USA)”October1988issue. Further tests and research from Japan, USA & Australia available on request. In what forms is Equine Oxyshot available? Are there any side effects when administering Equine Oxyshot? Will Equine Oxyshot interfere with any nutritional supplements or medications? Can you administer Equine Oxyshot and other nutritional supplements or medications at the same time? To obtain the maximum benefits, it is preferred and recommended to administer Equine Oxyshot on an empty stomach 30 minutes before feeding or other administration of nutritional supplements or medications. Is Equine Oxyshot pH balanced? Yes. 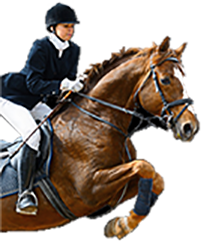 Equine Oxyshot is balanced to a slightly alkaline state which is beneficial to the body. How much oxygen is actually in Equine Oxyshot? It contains at least 150,000 parts per million of stabilized bio-available di-atomic oxygen at manufacture. What is the shelf life of Equine Oxyshot? It is about 8 months for an opened bottle and 2 years for an unopened bottle. 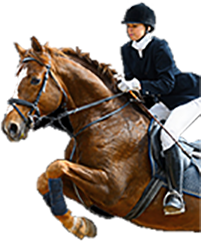 What is the difference between Equine Oxyshot and hydrogen peroxide or other oxygen supplements?Equine Oxyshot should not be confused with the Chemical Chlorite compounds which are available on the market and which represent an older, now outdated approach to providing oxygen supplements. Equine Oxyshot is a liquid solution which contains intact oxygen molecules ready for immediate absorption; the older Chlorite type compounds must first come into contact with the acid in the stomach before oxygen is released by way of a vigorous chemical reaction. Also, Equine Oxyshot should not be confused with hydrogen perox- ide, a compound which can cause problems if not administered properly and with appropriate care.